Reading Partners has developed a proprietary, easy-to-use, structured curriculum to help students gain the skills needed to be independent and successful readers. Our curriculum provides targeted instruction and practice of foundational literacy skills students need to move towards grade-level reading proficiency and is designed to be easily administered by volunteers. Reading Partners’ curriculum is aligned to the Common Core State Standards, other state standards, and best practices in reading instruction to promote student mastery through alignment with classroom expectations. The Reading Partners curriculum is comprised of more than 150 lessons. Each lesson is easy-to-follow and requires no preparation outside of the reading center. 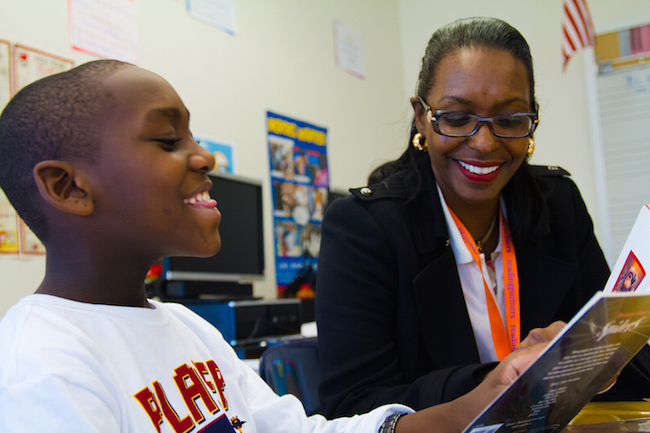 Reading Partners’ staff offer ongoing coaching and support to tutors as questions arise. Reading Partners’ students are assessed at enrollment and placed at an appropriate starting place in the curriculum sequence, where they practice key reading comprehension skills and develop their vocabularies. Each lesson begins with the tutor reading aloud to the student from a book the child has selected. The tutor asks questions and discusses the book’s content and vocabulary with the student. The tutor introduces a new skill or concept and helps the student complete an introductory task. The tutor supports the student while he or she reads and encourages the student to apply the new skill and/or concept. Reading Partners’ lessons are built around carefully selected books. 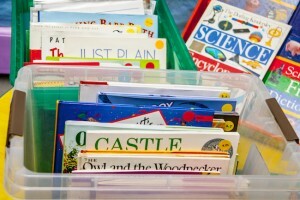 Books are chosen to fit the skills being taught and match students’ reading levels. 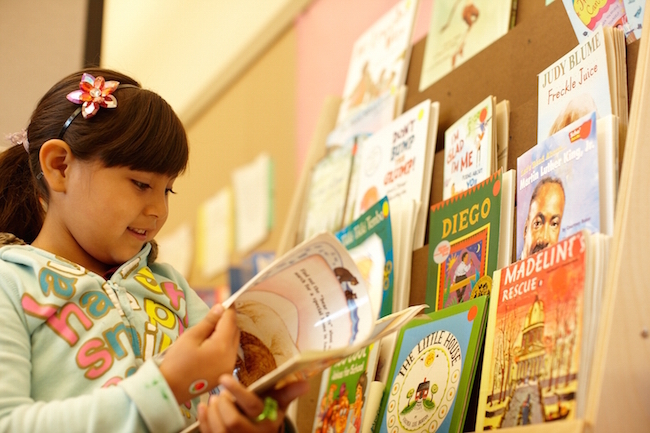 To acknowledge the diversity of our student population, Reading Partners ensures that the curriculum includes texts featuring characters and stories from a wide variety of cultural backgrounds. Reading Partners encourages reading at home. Since many families in the United States have few children’s books at home, we give students books to read at home and build their own libraries.